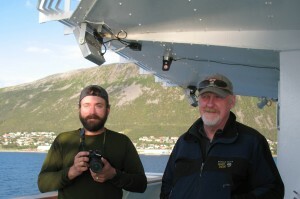 Professor of Biology William Ambrose and Professor of Geology Michael Retelle received $337,228 from the NSF for their three-year research project, which will analyze the natural record archived in clamshells over the course of a millennium to plot changes in sea temperature where the Barents and Norwegian seas meet. The researchers hope that this history of water conditions, which will span two historic periods of significant, naturally occurring temperature shifts in addition to contemporary climate change, can provide insight into major ocean currents and other phenomena related to climate. “We’re interested in what triggers rapid climate change, and changes in the ocean conditions and currents may be a key,” says Ambrose. 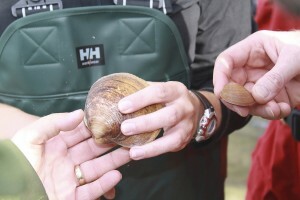 In combination with other techniques such as carbon-dating, growth-line patterns from living and dead clams can be matched up and strung together into long chronologies. 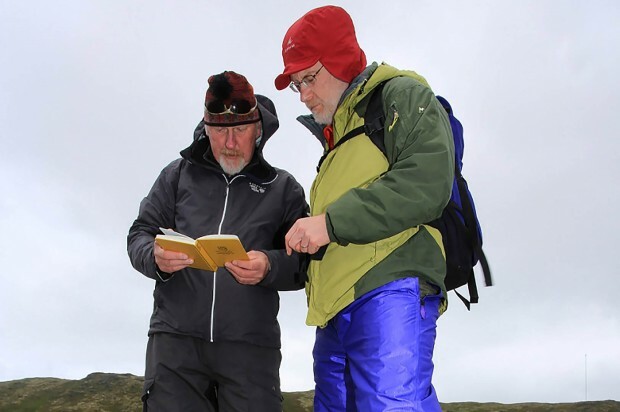 An Arctica chronology in Iceland dating back 1,357 years was created by a team including University of Iowa paleoclimatologist Alan Wanamaker, who is partnering with Ambrose and Retelle on the Norway project. Wanamaker has done similar work with clams from the Gulf of Maine. Retelle and Ambrose are doing their field research on Ingøya and Rolvsøya, islands in Finnmark, Norway’s northernmost county. Not only are Arctica islandica abundant and easily harvested there, but also favorable to the research is the islands’ location relative to the Norwegian and Barents seas and to major currents including the Gulf Stream. The islands’ geology, too, favors this research. Ingøya and Rolvsøya were once covered with glaciers, Retelle explains, and at its greatest extent during the last glaciation, the weight of the ice depressed the earth’s crust below sea level. 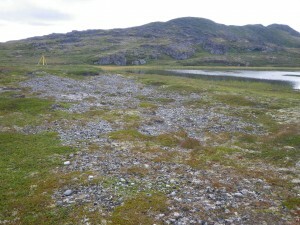 As the glaciers melted and retreated, the land surface rebounded, leaving a succession of former beaches that are progressively older with increasing elevation. “We have this staircase of beaches that go down to the present sea level,” Retelle says. “We think that they might go back 6,000 years or more. We’re able to trace beaches from higher elevations, like 20 meters above sea level, down to modern sea level. Ambrose and Retelle’s 1,000-year chronology will cover the Medieval Climate Optimum, a warm period that lasted from about 950 to 1250, and the Little Ice Age, which ran from 1550 to 1850. The Ambrose-Retelle research team for this project consists of 10 scientists from the U.S., Norway and the Netherlands. Bates students will take part in the research starting next year, the second year of the three-year effort. Watch a “trailer” for last summer’s work on Ingøya by Dan Frost ’05. The project will incorporate public educational programming in Iowa and in Maine — thanks in part to the efforts of Bates graduate Dan Frost, a math teacher at Thornton Academy. A member of the Bates class of 2005 who studied with Retelle, Farmington native Frost served as teacher-in-residence with the research team during its first session of field work last summer. “He was involved in every aspect” of the research, Retelle says. Frost will use material from the field in both his classes and in public lectures.